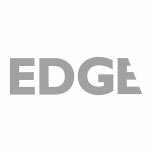 Edge are appointed by LSH Auto (Properties) as their Project Manager on this challenging project to redevelop their existing Approved Used Mercedes-Benz site in Erdington and construct a new 21st century dealership. Our project management duties included assisting the client with the assembly of a consultant team to support the development, programme management, procurement and tendering advice, risk management, contract administration and monthly project reporting. Snagging will commence as the project nears completion and co-ordination of the project’s handover. It was a fundamental Client requirement for the existing business to continued trading throughout the construction programme. A phasing plan that addressed the tight site constraints and logistical requirements of both the dealership and contractor was developed and a two-stage procurement approach agreed to enable the early engagement of a contractor to accelerate the development programme. Planning requirements for the site are onerous and it has been necessary to work closely with the planning consultant to support multiple applications and manage the discharge of conditions in a timely manner. The Client’s dealer direct trades have been reviewed and coordinated to ensure their timely integration with the overall construction programme. Edge developed a phasing plan that enabled the dealership to trade with minimal disruption from the construction works and with maximised display areas. The procurement strategy has enabled the construction works to progress in the shortest time period to meet the Client’s requirement.